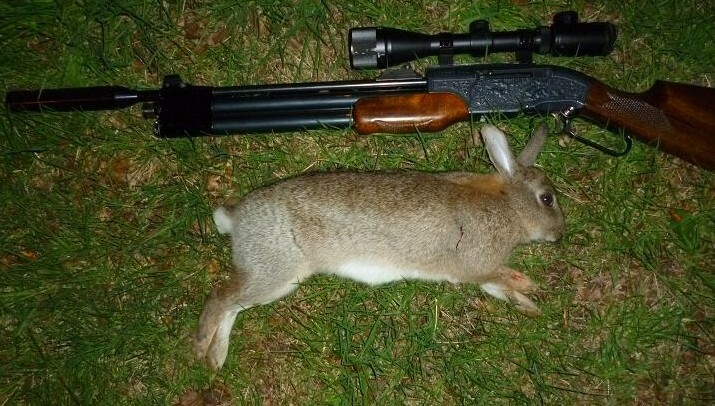 With the English cricket season and the clocks going forward for later sunsets, it was time to get down to the large recreational park to make another dent in the rabbit population. 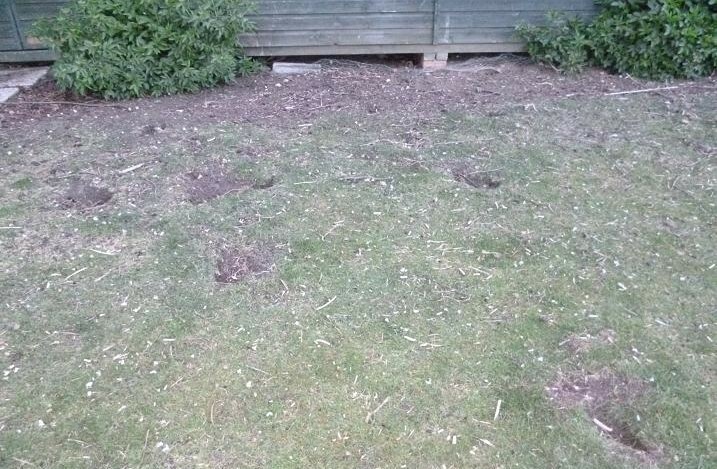 The council controlled cricket pitches and lawn tennis courts suffered damage last year from rabbits digging for roots among the manicured lawns and I was given permission to shoot the pests. Restricted to air rifles between sunset and dawn to avoid any danger to the general public, I had been able to cull about twenty before the worst of the winter set in. Wooden pavilions provide perfect cover for the rabbits, and the rabbit hutch aroma is unmistakable once the warmer weather arrives. 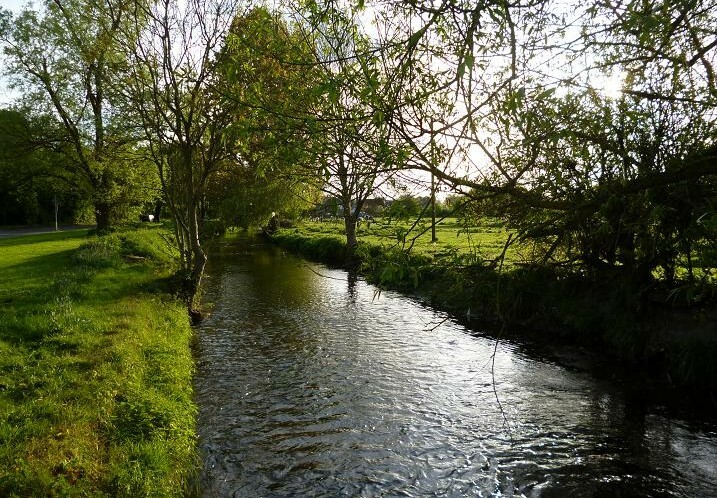 This site has been the most challenging, being used to private properties, paddocks and farms, while this park has floodlit activities and an adjacent car park used for railway and public car parking. Runners and dog walkers abound. Even at midnight there are people about, sometimes with lamps and dogs. This permission has given me the opportunity to bring my neglected Career 707 .22 carbine out of retirement, which is one small step down from a .22 rimfire rifle. Firing .22 Bisley Magnum 21 grain pellets, it is more accurate than the 40 grain subsonic bullet of the rimfire at 40 yards and just as effective with head and chest shots. The main advantage of the Career in this situation is the safety factor, the pellet losing velocity quickly and unlikely to ricochet and travel many yards beyond the target, while with four times the power and twice the weight, the rimfire bullet could cause serious injury in such a public place. I arrived shortly after sunset to see the tennis court floodlit with players still on the courts, while in the shadow of the pavilion, rabbits large and small were grazing undisturbed. Even when I pulled the van into a parking bay within yards of them, they they continued feeding. This all changed the second that I stepped into view. Pow! They scattered, climbing over each other to disappear down several of the openings beneath the wooden building. I drove the van down to the far end of the car park, where there were no cars, or members of the public, to decide on my plan of attack. A circular route along the railway embankment, swinging right across an open archery range, then on to a copse, which housed the cricket pavilion, before returning across the park to the tennis pavilion, by which time it would be dark, but illuminated by the orange sodium lights of the car park. It was still light enough to see as I set off along the embankment, spotting a pair of rabbits in the undergrowth, which melted back into the gloom before I could get in range. Passing through the copse to the cricket pitch, a pair of rabbits were busy munching their way through the green sward about 50 yards away and I ducked back into the cover of the trees, trying not to rustle through the dead horse chestnut leaves, getting down to belly crawl the last few yards. They were still unaware of me and rested the Career on my bag for a steady shot at the biggest now 35 yards away. The cross hairs settled behind the ear and I squeezed the trigger. The silencer barked and the rabbit toppled forward. Getting up to retrieve the rabbit, white tails flashed back into the safety offered beneath the pavilion and I crossed to the other side, where I had a view of the rear of the wooden building, while lying beneath low hanging branches. I only had to wait ten minutes before a smudge of grey appeared at the far end of the building. 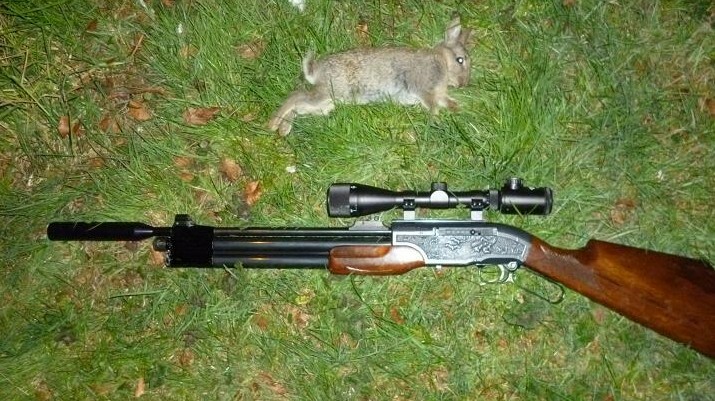 Through the scope, two rabbits had emerged from the gap looking out 25 yards away, a snap shot knocking the closest down. I stayed in cover and waited until my eyes picked up movement, again the scope proving better at receiving light than my eyes to reveal another rabbit beside the building. I fired and saw the rabbit leap with the impact of the pellet, but watched it scrabble back down the burrow. Getting up I saw no sign of the second rabbit and was surprised to see that the first shot had been a young kit. In the low light it had been hard to judge it’s size. I would have shot it regardless. It was now too dark to see and I have found that due to frequent lamping with dogs over this parkland, a light causes instant panic from this rabbit population, so that dawn and dusk are the most productive times to catch out my quarry. Continuing my circle back to the tennis pavilion, rugby players were out noisily practicing under their floodlit pitch, as I reached the cover of the trees that line the car park, keeping in line with a tree 40 yards from the pavilion. From either side of the trunk I had a good view, aided by the sodium lights and watched as a pair of ears popped out of one of the holes. Using the tree for support, I was pleased to see the rabbit fall back into the opening. All that plinking at targets in my garden paying off. With the hole now blocked, I moved forward to find another young kit. Back to the tree, I edged forward keeping the tree trunk as a backdrop to my prone body and waited. Another pair of ears appeared out of the first hole, but retreated back inside and I focused my sights on it for a second chance. A movement to the left of it got my attention and I swung the rifle round to see a large buck hop out into view in the gloom. My latest target stopped for it’s last meal as I zeroed in for the shot, flipping it over. Drizzly rain had begun to fall and decided to call it a night, this haul would help toward a batch of bunny burgers now that BBQ season was on the horizon. River trout fishing is very limited in my area and joining a syndicate fishery within 15 miles of my new home several years ago was a dream come true. 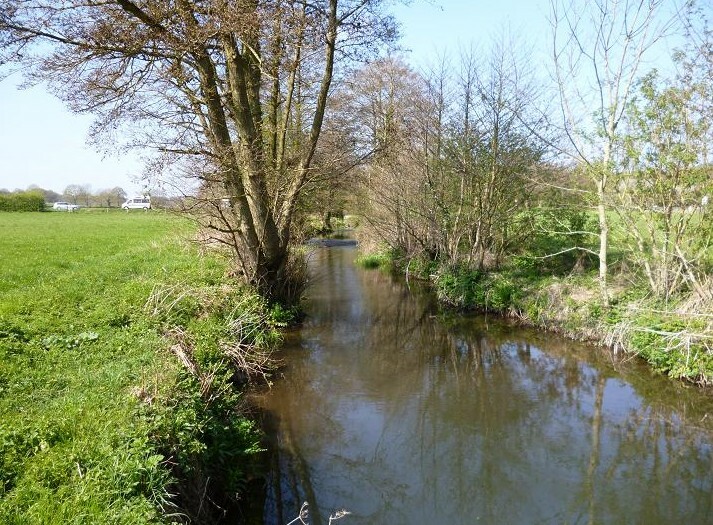 The tiny chalk stream held a head of wild brown trout, backed up by a yearly stock of triploid infertile browns, while with other trout fisheries upstream, the occasional rainbow trout added spice to life. 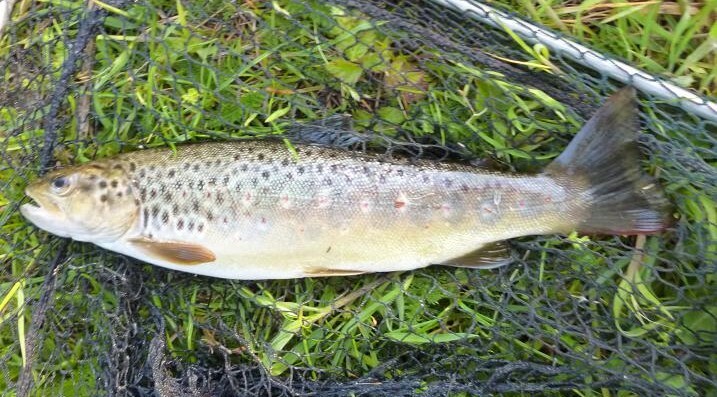 The wild brown trout population was so prolific, that a few years ago the bailiffs decided that the annual stocking of triploids was unnecessary and missed a year as an experiment. This was a costly mistake. An increase in pike, mink and fry eating Canadian signal crayfish resulted in the collapse of the wild fish stock. With no large stock fish available, the predators turned to the wild fish. That was the theory, backed up by some of the worst returns ever and members walking away with their cheque books. The 30 member limit with a waiting list, dropped to two thirds last season and judging by the sparse numbers on the working parties it could be lower this season. 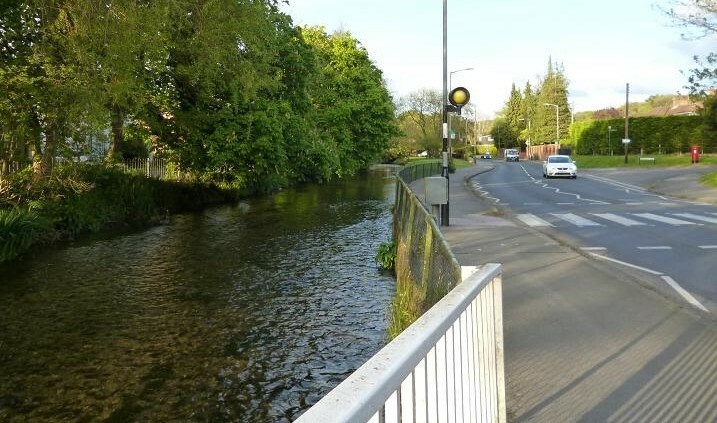 Prepared to give the syndicate another chance, I arrived on a bright spring morning for a brief visit last week to see how the river had fared over the winter, finding it unseasonably low and crystal clear, barely rattling over the stones. I had taken my rod, but there was no time for a proper session, intending to cast my Black Devil nymph to test out some of the gravel runs that had been modified by the winter floods. 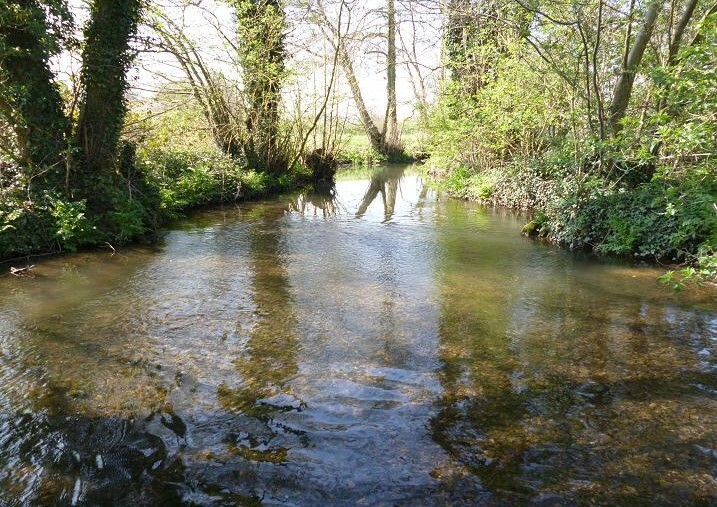 Walking downstream my shadow fell across the shallows and a trout swirled, darting for the cover of a bush. This was encouraging, as were several bare patches of gravel, evidence of wild trout spawning redds. 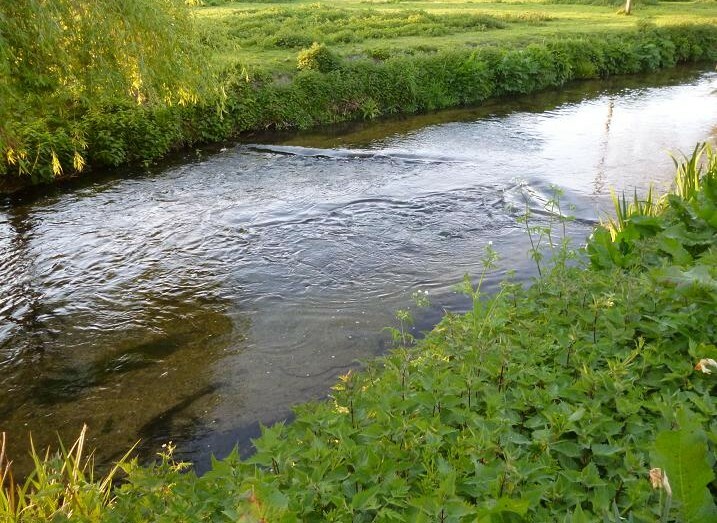 Continuing downstream I could see one of the bailiffs applying weedkiller to an area badly affected by Himalayan Balsam last year and watched while he continued his work, deciding to turn back, as I had little time to fish, let alone stand chatting. Stopping for a few casts between bankside trees, an upstream stab of the leader was a definite take of the nymph, but I was too quick, or maybe too slow, whatever, I missed it. A heart quickener no less and again encouraging, although I failed to get another response from that pool. 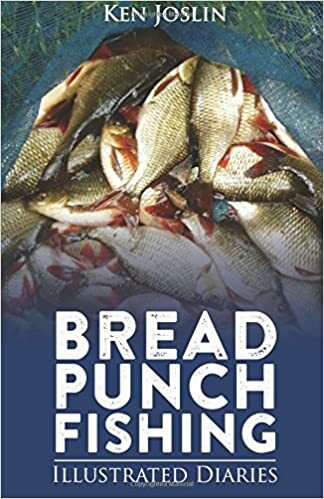 Within sight of the road, I paused for a few casts where the flow pushes into a deep pool, making a long cast upstream to allow the nymph to trundle along the gravel, before it sank into the deeper water, retrieving line as it came back to me, keeping sight of the greased leader for any movement. With the end of the fly line approaching the top eye, I lifted the rod to recast and a big brown trout came up from the depths like a Polaris rocket and grabbed the nymph, diving away, pulling the rod down, while stripping line through my fingers. It flashed gold for a few seconds, black spots clearly visible, before the barbless hook lost its hold, leaving me stunned by the sudden activity and staring at a slack line. 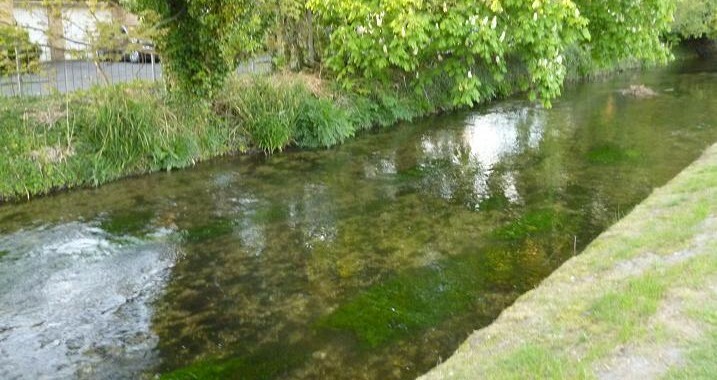 Excitement over, each pool was search in the hope of a repeat, when this time I would be ready to respond in the manner of an experienced trout angler, rather than a star struck novice, but second chances are rarely offered on the little river. Below the road bridge a fish was rising to small patches of surface scum, but could not see what it was, while illuminated by the bright sunlight, several 4 inch trout moved in and out of the shadows beneath the road. There is hope for this fishery yet.